Why is Scott’s Different? Because It Is NOT A Mustang II! 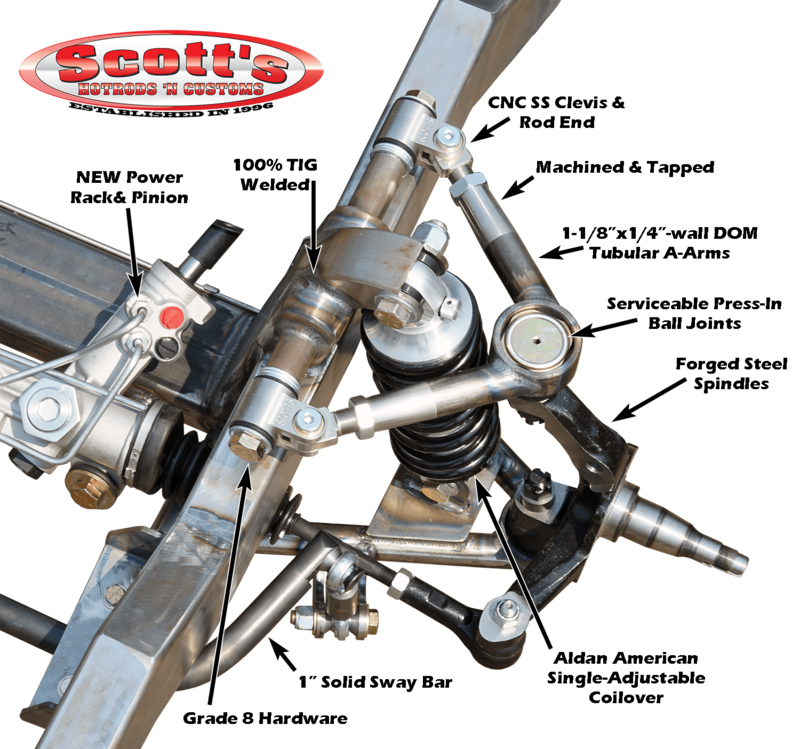 At Scott’s we believe that the key to enjoying a hotrod lies in the suspension underneath it and in making the decision to never settle for anything less than perfection. Every Scott’s IFS comes with a limited lifetime guarantee because of a refusal to use inferior materials. 1-1/8”x1/4” wall DOM seamless tubing is used to make ALL of Scott’s A-arms, both upper and lower. 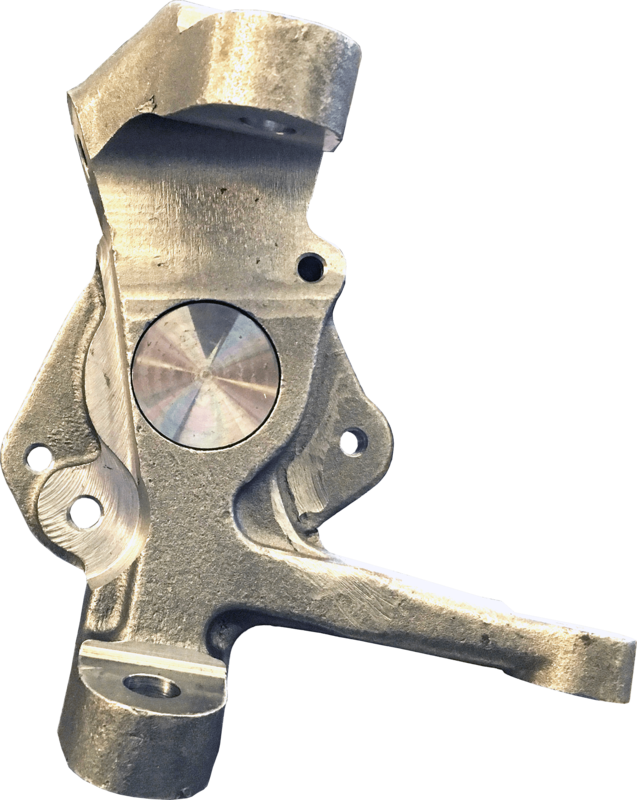 Each and every one is CNC machined to provide the highest level of quality and durability. 2”x4”x3/16” wall box tubing is used for every crossmember and are all 100% TIG welded for rigidity and strength. 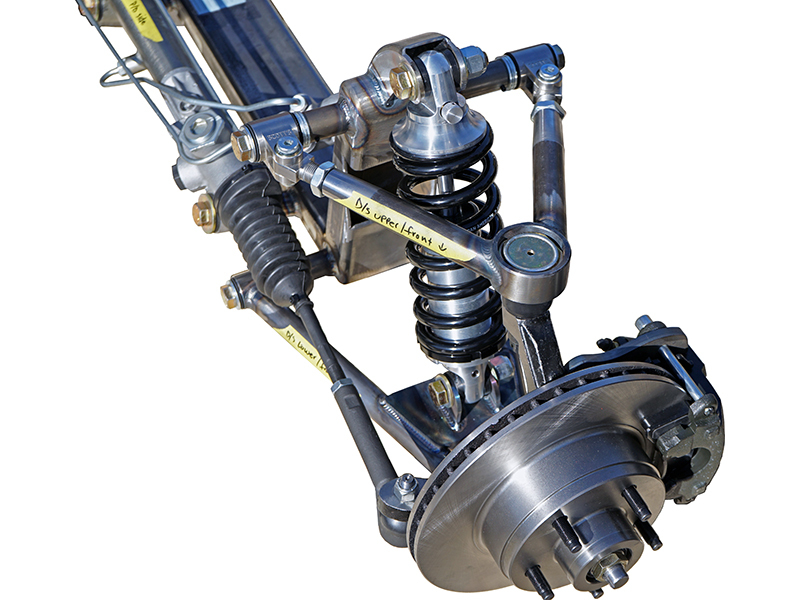 The concept of a “one-off” suspension built for each and every customer was a difficult one to grasp because of the long standing use and availability of Mustang II’s in the hotrod and street rod community. Fortunately for us, as more and more Scott’s IFS systems began hitting the street, the concept was realized. 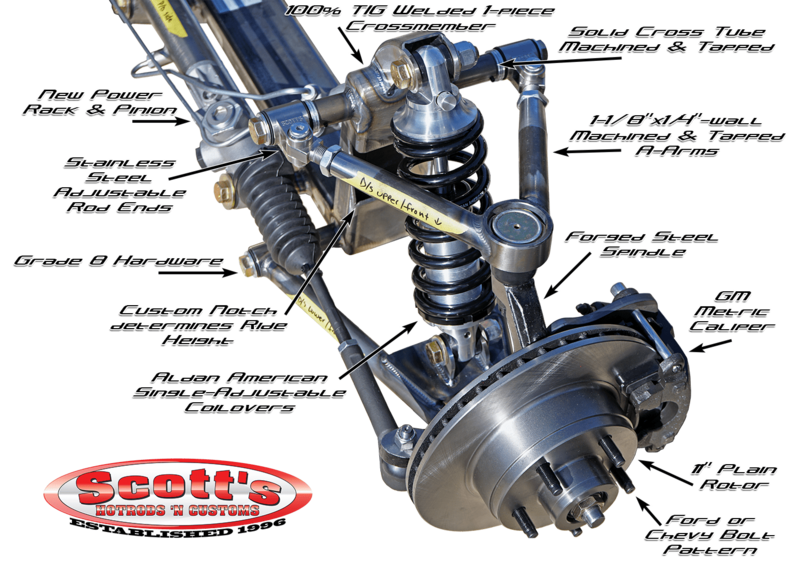 Scott’s knows that in order for a suspension to function properly, it must have the correct geometry. To achieve this, it must have all of its pivot points in the location they were designed to be in. 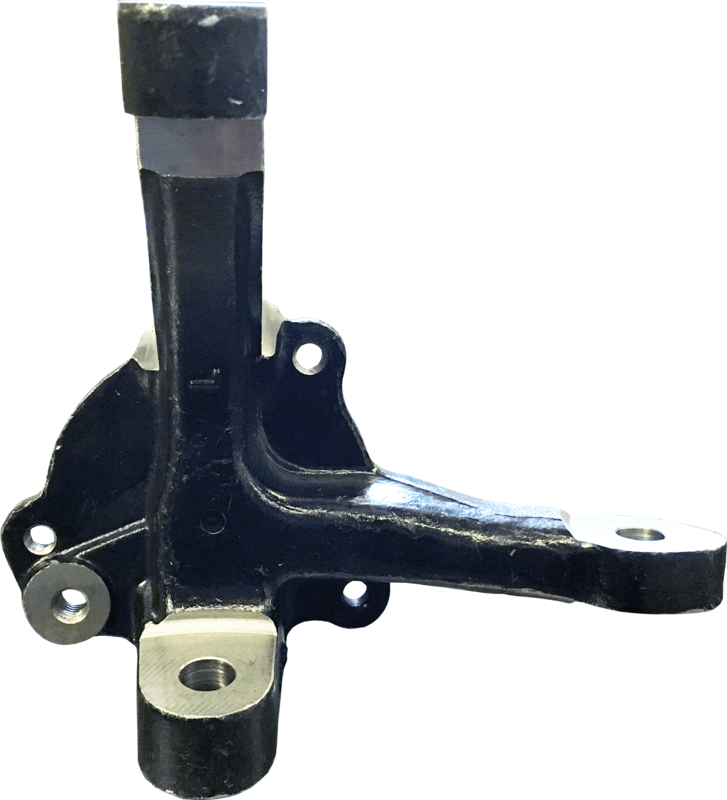 The moment you change a single one of those pivot points, your suspension will cease to function as it was designed, which is the common mistake of those installing Mustang II’s in their cars. 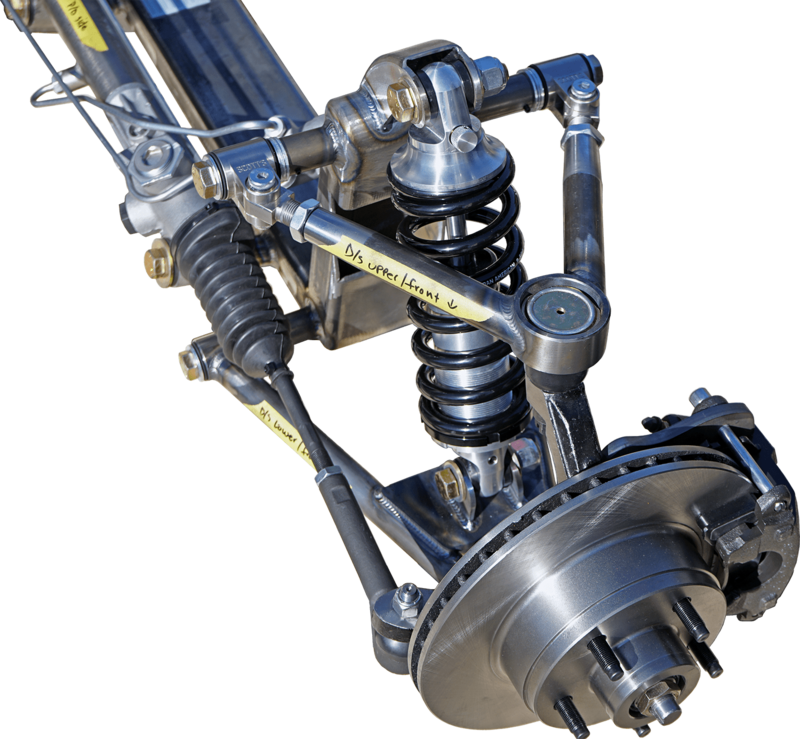 When you order a Scott’s suspension we start from scratch. We gather pertinent vehicle information such as type of vehicle, motor, track width, ride height and work to create something that will net you the correct handling characteristics you are seeking. Your a-arm lengths, cross-member pivot points and entire cross-member will be unique to your vehicle. 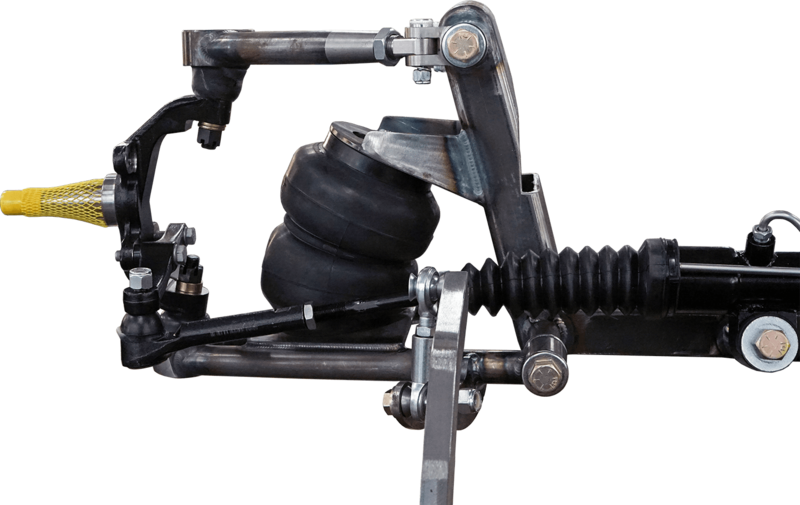 This will ensure that your suspension will work exactly as advertised, guaranteed! 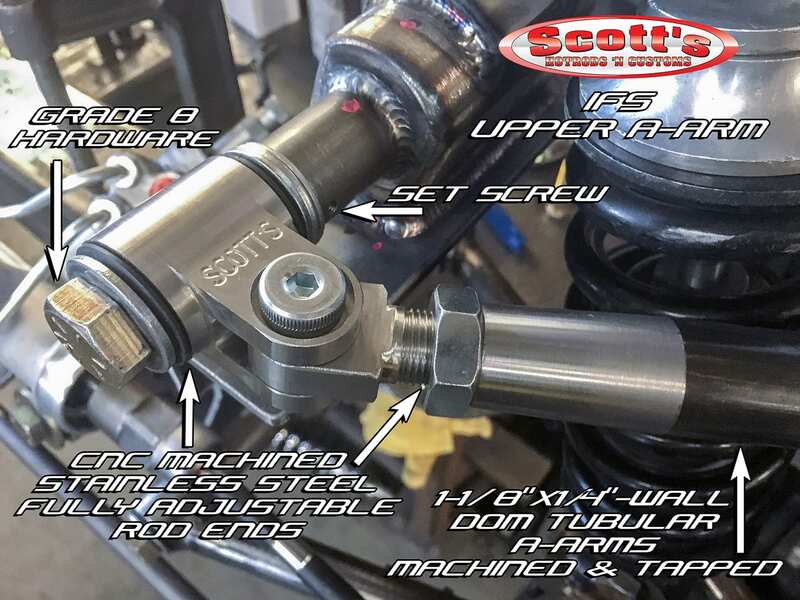 Scott’s Hotrods builds the best IFS kit on the market. Scott’s has never built a Mustang II Kit. 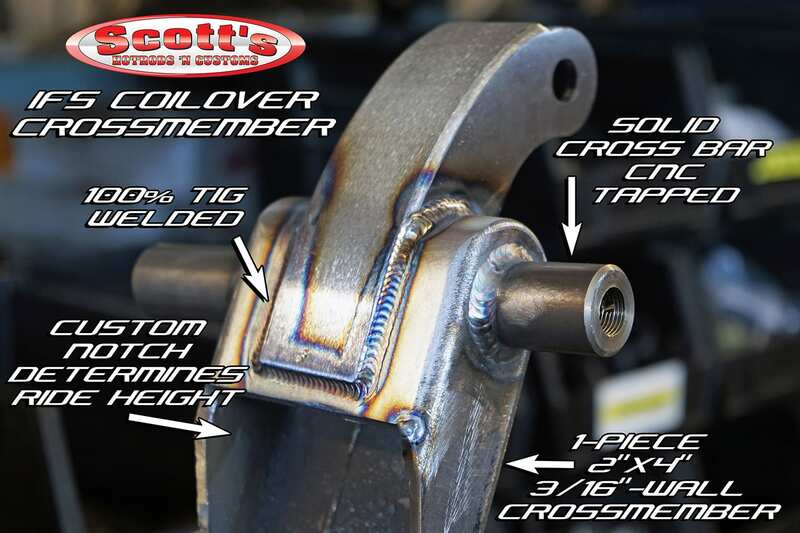 All of Scott’s Hotrods manufactured parts are guaranteed to be free from manufacturer’s defects for the lifetime of the part. Warranty is non-transferable. Scott’s IFS Kits are worth every penny because NOBODY ELSE builds a stronger, higher quality or better kit AND none look nearly as good. You can literally see the quality. 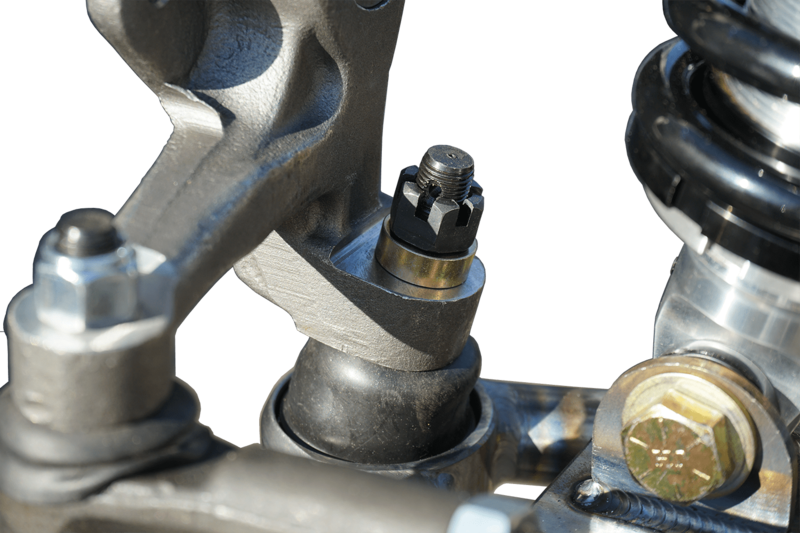 If you do not have a vehicle that we manufacture a Bolt-On kit for, you will have to go with a Weld-On kit. 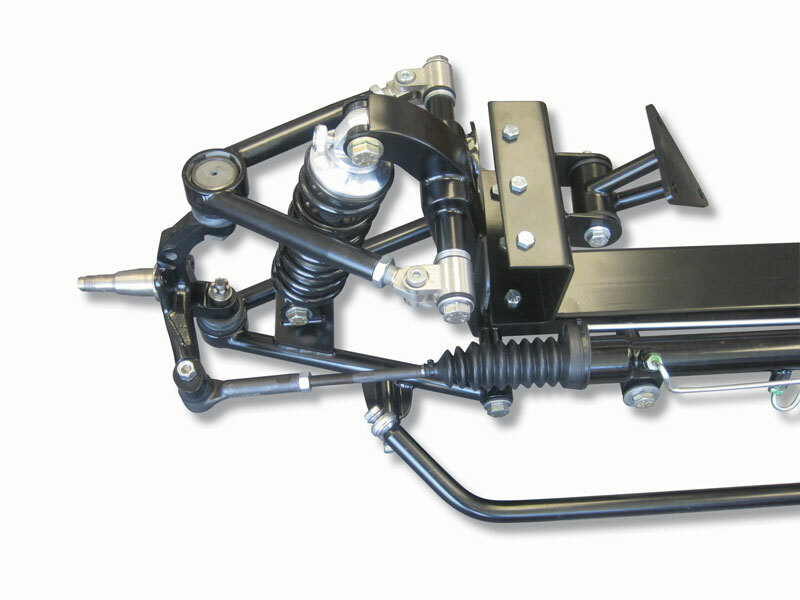 Weld-On Kits start at $2,495 and Bolt-On Kits start at $2,895.